Blue Ocean Oil is a nominated agent for Astron Energy, Caltex for Angola, and are exclusive agents for Gulf Oil Marine for South Africa, Angola and Mozambique. Blue Ocean Oil have been working with Caltex as agents for a number of years assisting with growing the Africa business. Along with products they supply technical advice, audits on multiple stocks, HSE, workshops and video conferencing where required. Blue Ocean Oil experience and expertise in the marine lubricant and grease industry has been built up over the years in the diverse and challenging African markets. Our team is focused on giving a world class leading service in terms of product quality, delivery and ease of doing business. In addition, we offer product analysis services, tribology support, stock audits and HSE support. We continuously invest in skills, industry knowledge, manpower, and building mutually beneficial relationships with our suppliers to improve our service to our customers. 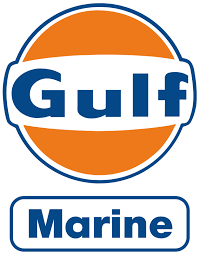 Blue Ocean Oil in addition supplies a range of OEMs including Mobil, Shell, Castrol, Total and Caltex, ENI. In addition we offer product analysis services, tribology support, stock audits, HSE support.